The Victorian Government is providing funding to support community-based natural resource management (NRM) groups and networks undertaking on-ground works, education and capacity building projects to protect and restore our land and environment. 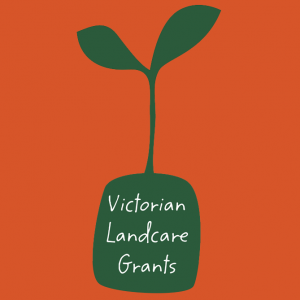 Previously delivered as part of the Port Phillip & Westernport CMA Community Grants, the Victorian Landcare Grants 2018-19 are offering Project Grants of up to $20,000 and Support/Start‐up Grants of up to $500. Sustain community-based NRM groups and networks by providing support and start-up grants, particularly for groups whose continuing existence will benefit from this support. The Victorian Landcare Grants are out earlier to enable a consistent approach across all CMA regions. Applications close 12pm on Tuesday 12 June 2018. More details, including grant guidelines and the application form (via SmartyGrants) are available on the Community Grants page of this website. The Victorian Landcare Grants support the implementation of Protecting Victoria’s Environment – Biodiversity 2037, the Labor Government’s long-term plan to protect our environment. For more information on Victorian Landcare Grants in the other CMA regions go to environment.vic.gov.au/grants.